Cute bag, cute design. Fits a 3 year old perfectly. But he needed it for preschool. It's a squeeze to fit a change of clothes and a blankie. And dimensions-wise it will not fit a folder. This bag was cute, but really huge. It seemed more like an over night bag than a diaper bag. The shorter handles were also very hard. They didnt stay on my shoulder well and were not comfortable. I had to return this bag. Comfortable carry. Compartments are helpful. Great size. 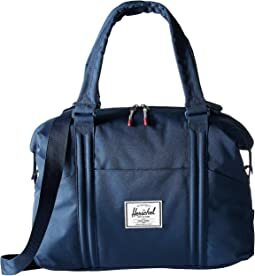 I love this diaper bag. 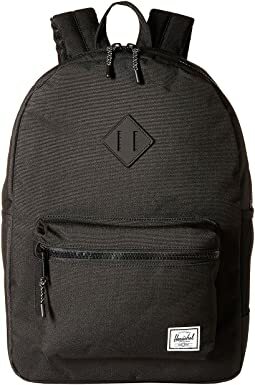 I have had three others and this is the only one that no matter how much stuff I put inside it seems like the same size without feeling bulky! Love it!!!! 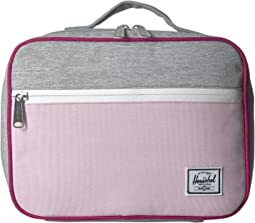 This is my third diaper bag and I think my favorite. No matter how much I pack (and I pack a lot) this bag holds it all and yet always feels small. It’s also light weight even when filled. Highly recommend. Love it! Really like the changing pad! 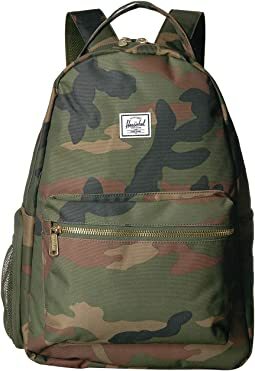 Not a backpack for school. 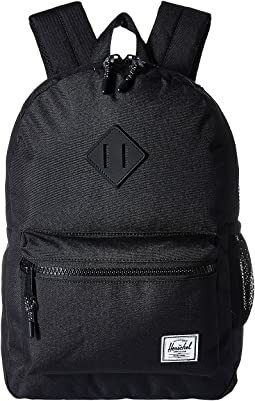 I purchased this backpack not realizing it was small. My 9 year old loves it but cannot use it for school. Perfect for our 1st and 4th graders. Not too big or small, just enough to keep what they need for the day. Adorable design. Also, can’t beat the price and the fantastic customer service that comes only from Zappos! Great size for my 2 year old but a standard sized folder didn’t fit inside without bending so sadly it had to be sent back. 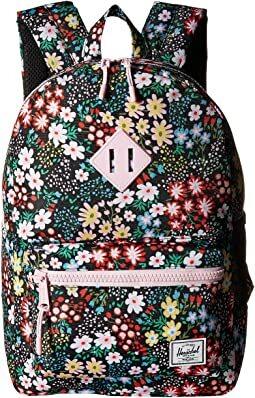 My daughter love this book bag. It's not big but can fit a reasonable amount of things. The color is a little darker pink in contrast to the bright pink pictured, but still very nice. Bought for a gift for a friends baby shower. 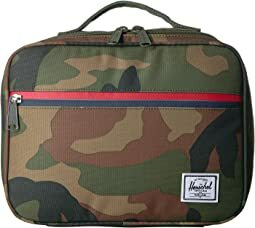 Good quality, style and comes with a nice changing pad too. I'd recommend. Beware – this is tiny!The bag is listed as 13" in height. I don't know how those 13" are measured, but that bag feels much smaller: it'd fit nothing more than a lunchbox (see photo: a letter sized folder is bigger than the bag). Great for preschool, not so much for older kids. The size is very small. More appropriate for a little kid. 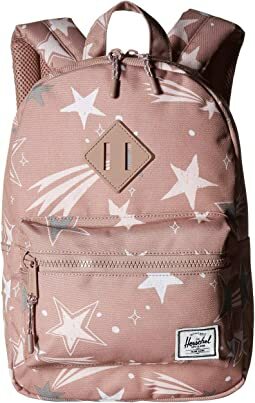 I was looking everywhere for a backpack for my 6 year old that would be her size and that would not be huge on her. 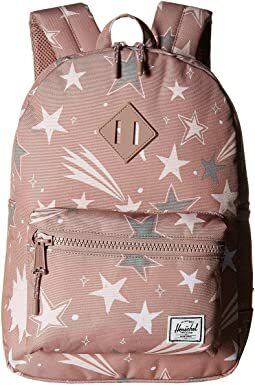 I am so happy to have found this great amazing backpack, it is the perfect size, her school supplies fit perfectly and it is the right size for her height. The other backpacks i had looked at were too big for her. 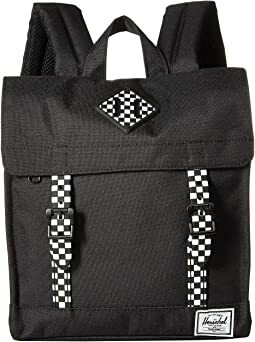 I highly recommend this backpack for a kindergartener or a first grader. 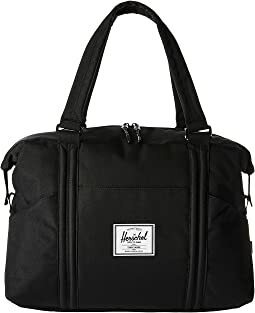 Our family LOVES Herschel bags. My daughter has one that still looks like new on its third school year. 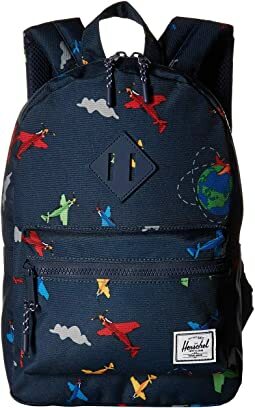 We bought this one for my son as he starts school and it looks great - excellent quality and bright colors. 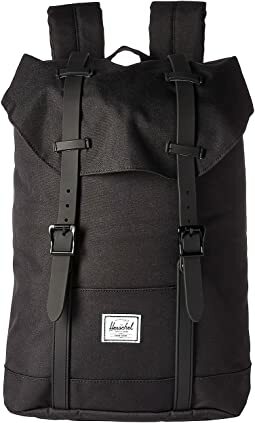 You really can't go wrong with Herschel. 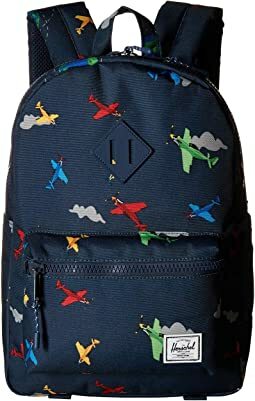 I was searching for a backpack for my 5 year old daughter for Kindergarten, a market where I feel there is a severe gap. We aren't fans of the backpacks with children's' characters all over them. We just wanted a backpack that fit with a simple, cute design. 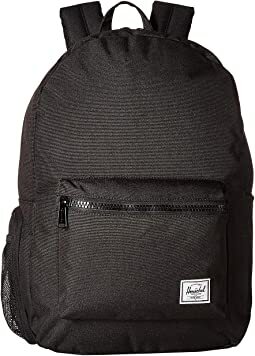 This backpack met are needs and more! At that age they are still so small yet they need a backpack that can fit a standard size folder. She is tall for her age, but even still other backpacks look enormous on her! Like a giant turtle shell. 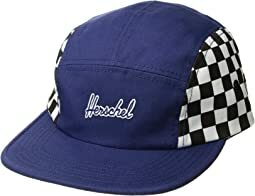 The Herschel Heritage Youth is perfect! Can't say enough how much we love it. I only wish they had more kid friendly designs. The name can be a bit misleading as well. 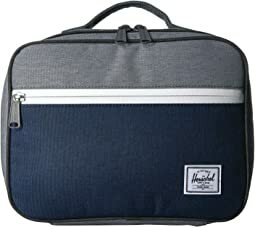 I almost got the Herschel Kids, but after checking Amazon.com reviews found that despite the dimensions, it would not fit a folder. 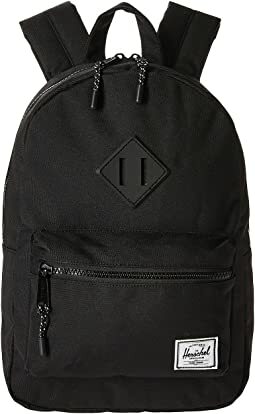 When looking at the dimensions on this backpack, it appeared to be too large. It is not. It is just right! 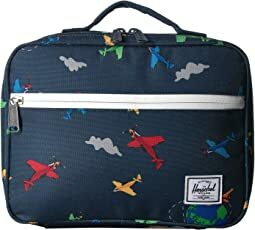 It's a nice bag for kids but I use it to pack small things. I am small young adult and this is perfect for me.